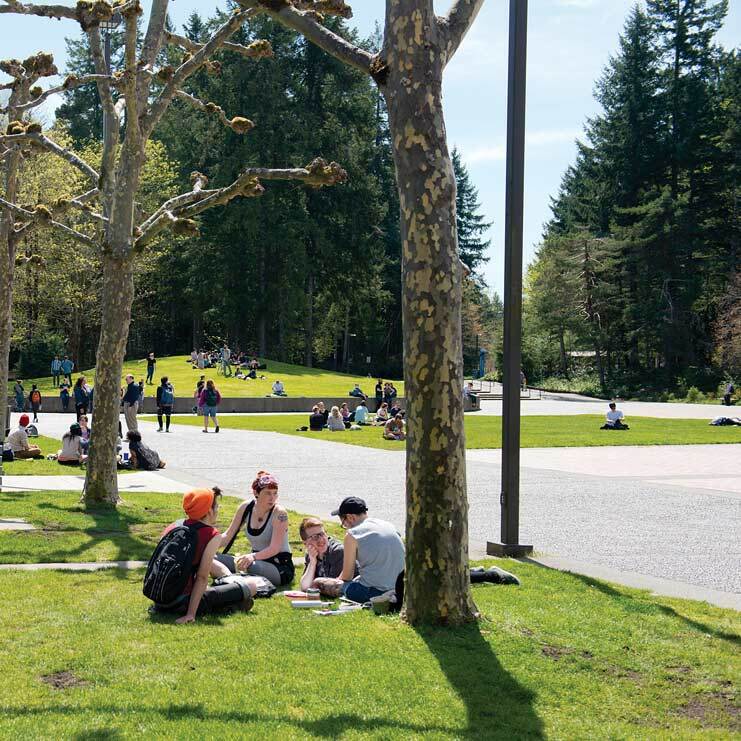 This program is connected to Evergreen's Center for Community-Based Learning and Action (CCBLA), a partnership of academic programs, students, and faculty with community organizations. CCBLA aims to meet mutually agreed-upon community needs to strengthen and enhance student learning through critical engagement. As such, this program benefits from the rich resource library, staff, internship support, and workshops offered through the center. This is a community-based and on-campus learning experience for students who have made formal arrangements to carry out a quarter-long work/study (30 hours a week) with a community center, workshop, agency, organization, or school. The community-based component is carried out through internships, community projects, mentoring situations, or apprenticeships that support community development. The range of academic/community situations suited to this program include: working in an official capacity as an intern at a community agency, organization, or school; working with one or more community members (elders, mentors, artists, teachers, skilled laborers, community organizers) to learn skills that enrich the community as a whole; or designing a community action plan or case study in collaboration with an agency aimed at solving a particular community challenge or need. The on-campus academic component includes a required Monday program meeting with a focus on media studies, examining the way various forms of media support community organizations. The Monday sessions will include collaborative workshops, short readings, screenings, and seminar. Students will also be required to write and share weekly Internship Reports that include descriptions of weekly activities and reflective writing on their learning for that week. Students can earn 12 credits for community work and 4 credits for the academic component. The weekly on-campus meeting offers opportunities to discuss the larger context of community work in terms of community asset building, problem solving, and media support. Students may increase the academic credit earned with additional research, reading, writing, and project work associated with their community work if they have an internship for less than 12 credits. education, community organizing, group leadership, non-profit organizations, cooperatives. 2018-03-12 This SOS is now taught by Laurie Meeker. Students must complete an internship proposal and submit it to Laurie Meeker ( meekerl@evergreen.edu ). Internships can be designed for up to 30 hours per week (12 credits). If your community work is less than 12 credits, an additional academic component must be included.